How to Find the Best shampoo for Hair Loss - Use These 4 Tips! 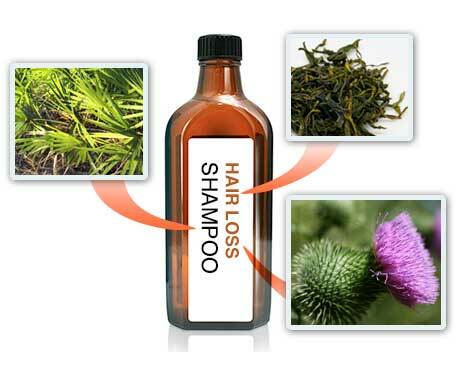 There are numerous shampoos out there claiming that they provide the best product for hair loss or thinning hair. In this article, we will give you guidelines to use when navigating this jungle of products and promises for you to choose the best shampoo for hair loss. Ingredients, Ingredients, Ingredients: I know nobody wants to read boring ingredients, but finding a shampoo that works for hair loss is all about the right combination of ingredients that are proven to rejuvenate a healthy scalp environment as well as help follicles regrow. Natural herbal plants such as nettles, green tea, and saw palmetto are known to inhibit harmful DHT effects on hair follicles. While extensive research for natural remedies is more limited compared to medical treatments, there are a number of sources that have focused on natural remedy research in order to prove the efficacy of hair healing properties. For instance, it is believed that the nettle plant contains natural compounds that block testosterone from the 5 alpha reductase receptor. This means that testosterone will not be converted to DHT (which is the main cause of hair loss). When nettle is combined with other DHT blocking ingredients such as saw palmetto, the hair regrowth benefits can dramatically increase. Ketoconazole: Ketoconazole is a medical ingredient approved by FDA. One of the reasons for people experiencing hair loss is due to fungi growth on the scalp. Some fungi growth is easy to detect, but some are not. When you ignore this type of infection, your hair will continue to fall out, no matter what products and treatments you try to use. Ketoconazole is used to remove fungal cells from the scalp. The ingredient is contained in shampoos, creams or tablets for oral consumption. When Ketoconazole is included in a shampoo, it effectively controls white flakes or itching, which combined cause dandruff. For instance, Nizoral is one of the more popular shampoos in the hair loss industry. Its active ingredient for the over the counter version includes 1% Ketoconazole as the main active ingredient. We all know Biotin is a hair vitamin. Biotin is a part of the Vitamin B complex and its main function is to help with healthy and strong follicle growth. Many shampoos you see include Biotin as one of the elements. Niacin, another member of Vitamin B, is also often used shampoo formulas. Niacin promotes better blood circulation by widening the blood vessels. In turn, it provides your dermal papilla (where hair follicles get nutrition) with essential nutrition and minerals. Natural essential oils for hair has been a big trend in the recent years. Some of those oils, such as peppermint oil, rosemary oil, emu oil, and caster oil, have been tested in research centers and by a number of users for hair regrowth by simply applying topically and massaging them into the scalp. When you look at the list of ingredients for shampoos, it’s always good to check what types of essential oils the shampoo includes in their formula. The most popular oil for any hair growth shampoo appears to be emu oil. Emu oil is known to provide anti-inflammatory benefits by easily penetrating the skin. When it is applied on the scalp, it has the capability of reaching hair roots and reawakening the follicles according to Professor Michael Holick, M.D from Boston University. DS Laboratories is all about creating a shampoo that helps your hair regrowth by eliminating harsh chemicals and adding many years of scientifically researched ingredients into their formula. When you open the packaging, there is a small guide book covering the details of how each ingredient is carefully selected. After many rounds of clinical research in-house and outside the lab, DS Labs has been able to create a product designed for effectiveness. Apple Polyphenol is from unripened apple skin and is used to protect cell damage from harmful free radicals. Clinical study showed significant hair growth results: The Revita product materials and website refers to a study performed by Japanese researchers. They applied the compound to participants’ scalps for six months. The result is truly astonishing: 79% of participants saw their the diameter of their hair strand increased. Another study was done by the British Journal of Dermatology. Their (separate) clinical trial using the compound produced the same hair growth result – significantly increasing the total number of hair strands and producing thicker hair. What it does: Researchers believe that the Procyanidin B-2 helps increase the duration of the hair growth (Anagen) period which allows more time to regenerate hair follicles. According to a University of San Francisco medical study, they applied this compound to patients who had some type of wound. Their healing process was 30% faster and also produced follicle cell restoration resulting in new hair growth in the treated area. In order to test this further, researchers used the same compound on a woman who experienced severe hair loss. Her scalp reacted to the treatment very well… so much so that after a six month period, she had restored most of her hair. If you are looking for hair re-growth shampoo that has gone through a number of hair growth focused clinical trials, the Revita shampoo is the one you want to buy. 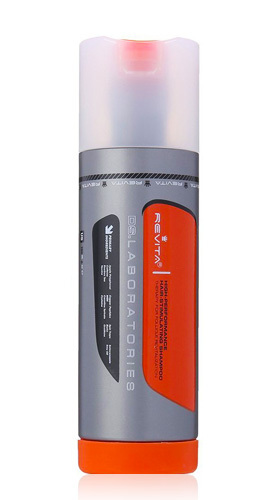 As the name states, the Ultra Labs shampoo contains caffeine as one of the primary ingredients. According to the research done by the University of Jena in Germany, researchers found out that caffeine has a huge impact on controlling testosterone levels and stimulating hair follicle growth. 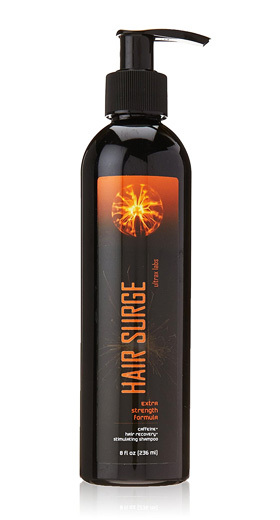 The company created a micro blend composed of caffeine compounds to achieve similar hair growth results. Other ingredients in the shampoo include saw palmetto and ketoconazole to block DHT and reduce any inflammatory related hair loss. The company states, “We meticulously formulated ingredients for your hair follicles to stay where they are.” Looking at the list of ingredients, it’s easy to see the formula is specifically designed for promoting hair growth by attacking the main hair loss issue for both men and women: DHT. 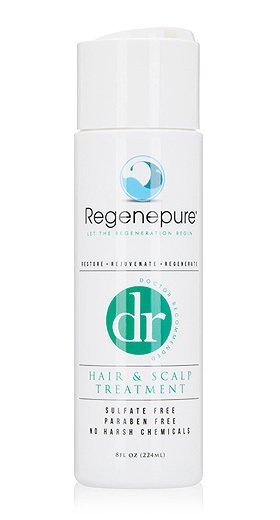 The one we are recommending for hair growth is Regenepure DR. The main difference between those two is that DR contains Ketoconazole and NT doesn’t (NT is more focused on using all natural ingredients). 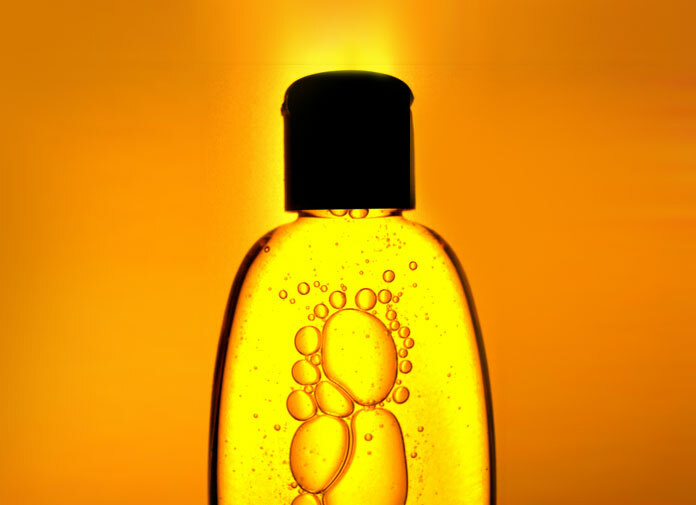 Neither shampoos contain any harsh chemicals such as sulfates or parabens. One of main ingredients of the Regenepure DR shampoo is Aloe Vera gel. Recently, we published an article about the effectiveness of aloe gel and a number of success stories. The aloe plant has been used for centuries to heal various illnesses and symptoms including hair loss. The shampoo also includes 1% of Ketoconazole (used for killing fungal cells on the scalp), saw palmetto extract (inhibiting DHT from attacking healthy follicles) and Emu oil (known to penetrate the skin and provide essential nutrition for hair follicles to regrow). Our favorite of all time! Big 5 Hair loss is a lesser known brand compared to the others (Nioxin, Viviiscal, etc. ); however, their shampoo is packed with high quality ingredients that are effective by working on various aspects of hair growth. 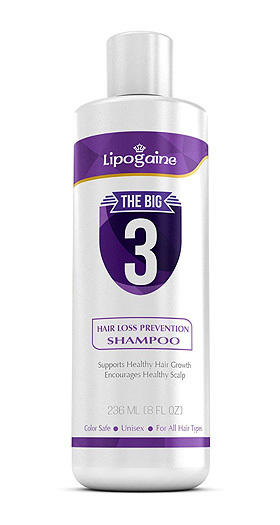 The Big 5 shampoo is formulated for treating thinning hair by using natural herbs such as nettle leaf and saw palmetto for natural DHT inhibiting activities, as well as hair-stimulating essential oils such as red clover, emu oil and caster oil for easy skin penetration. Introducing you to the secret oriental hair growth formula: The Dangi Meori shampoo is made in Korea and extremely popular among people who are experiencing extreme hair shedding or thinning hair. More than 50% of people with hair loss issues throughout South Korea have used (or used at least once) this shampoo on a regular basis. The secret is in the formula. The shampoo uses herbal extracts that are only available from certain regions of Korea and China. Many of these ingredients have been used for medical purposes throughout history to treat various diseases and symptoms. Recently, some of those herbal ingredients have been studied to scientifically prove its efficacy. For instance, a research team from the University of Georyo in Korea found out that ginseng, one of the ingredients in this shampoo gave participants a 12% increase in hair density and an 18% increase in hair thickness after 24 weeks. Others include Siberian chrysanthemum (good for cleansing your scalp effectively), green tea, licorice root (controls sebum production), and other medicinal herbal ingredients. The manufacturer (Doori Cosmetics) of the Daengi Meori shampoo has taken a very different approach to formulating their shampoo by only using oriental medicinal herbal extracts. 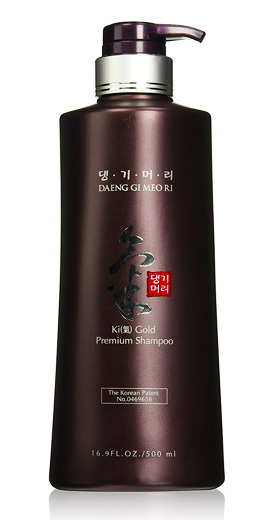 If all the conventional shampoos you tried so far haven’t given you the result you are looking for, give the Daeng-Gi Meori shampoo a try. I used the Revita shampoo for 5-6 months. I think their shampoo is better than other hair loss prevention shampoos. It felt nice on scalp and significantly decreased shedding. I read some people saw the new hair growth after using Revita for a month or so, but that wasn’t the case for me.